What is a quality seat? In education, what does quality mean to us as a community? As defined by the state of California, quality is the combination of status and change that results in a performance level that meets or exceeds the standard (distance from “standard met”) for all students and all student subgroups. As a foundation, we use this definition when we look at seats across Oakland—valuing growth as much as the status “snapshot”—but we also know that measuring quality this way does not encompass all of the elements that we know drive school quality. That is, we know measuring quality will always be limited to a handful of comparative data points that will never fully capture the complexity of factors that contribute to school quality. We know that culture impacts what quality means and how you get there. From a practical standpoint, the tools to measure quality must look at performance via a limited set of academic and culture/climate data points; these data points reflect the aspects of school quality most readily measured by standardized data. Effectively, while measuring quality in this way, we also hold the imperfectly measurable elements of quality in mind when looking at the student experience. Children must feel safe to learn. Children must be engaged in learning in ways that allow them to make meaning and learn to think critically. Teachers and leaders must feel supported and inspired to grow professionally and continue learning. Families must feel engaged and empowered by the system. The Rogers Foundation has seen slow, incremental improvement at select Oakland public schools, both district and charter. We know this improvement affects too few families. We know that change happens when students are at the center of instructional, cultural, organizational, and structural shifts. We know that students, parents, teachers and administrators must be engaged for the shifts to be sustainable. We know we have too many public schools in Oakland to serve ALL Oakland students well. We know that the schools we have don’t provide all the opportunities we want for our city’s children. We know that a successful public-school system—a system that includes both district and charter schools—demands collaboration. 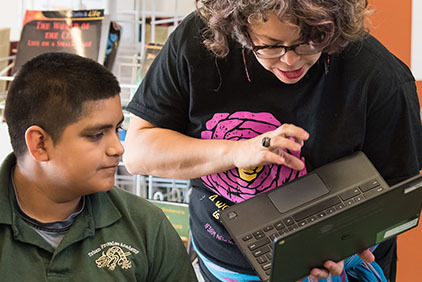 We have learned that a coherent, aligned system that puts students at the center, not only in name, but also in action, is the only path to a quality education for all Oakland children. To learn more about our work in Quality Schools, read our June 2018 Strategy Update. The Quality Schools Strategy pursues both measurable and imperfectly measurable avenues towards quality to achieve the goal of 10,000 high quality seats by 2020. To support this work, we make direct investment in innovative schools and support community partners to both enable the conditions for quality schools as well as build capacity of the education ecosystem to create and sustain high-quality schools. Direct Investment in Innovative Schools to improve academic status and/or growth across individual and all subgroups, reduce chronic absenteeism, improve school climate and culture, and provide a diverse array of quality education experiences across the Oakland education landscape. Enable the Conditions for Quality through enabling ecosystem readiness and development, promoting organizing and advocacy as related to school quality, and supporting collaborative spaces to create and support quality. Build Capacity to Create and Sustain High Quality Schools through high quality instruction and professional development, as well as promoting the use of data to drive school academic and cultural/climate transformation, and retaining talented, diverse teaching staff, resulting in improved student outcomes. Invest staff time to amplify work. 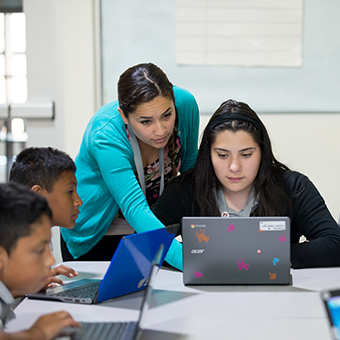 For the highest leverage opportunities, the Foundation’s staff are committed to providing assistance beyond grant investments to advance the success of our quality school strategies. This update aims to refine our Quality Schools Strategy based on learnings to date and in light of changes across the Oakland eduction landscape.